Neoproterozoic (ca. 635-500 Myr) stratigraphic constraints of North Pakistan: implications for the depositional system, global climate and atmospheric changes for the Northern Gondwanaland margin. Funded by Endeavour Research Fellowship and NCE in Geology. Regional Geo-chemical Exploration for Precious Metals in Southern Parts of Khyber Pakhtunkhwa. Funded by Directorate General Mine & Minerals, Mineral Department, Khyber Pakhtunkhwa. DelPHE (British Council) International Project (2010-2013) �Institutional support and twinning in geoscience between Kabul, Peshawar, Leicester, Prague and Keele universities�. NCE in Geology has obtained approval of this international joint project worth British pounds 90,000 involving Kabul, Leicester, Keele and Prague universities. The project is aimed at institutional strenghthening of NCE in Geology and the Geoscience Department, Kabul University, and includes collaborative research and faculty exchange. Investigating the stratipraphy, facies and 3D architecture of the Carboniferious-Permian successions of the Salt Range, Pakistan: An analogue for the oil-bearing reservoir-strata of the Arabian Peninsula (funding by University of Twente the Netherlands and the NCEG). Investigation of ERTH landslide in Chitral and Mayoon landslide in Hunza (Funded by FOCUS Humanitarian). SMEs inventory with GIS Mapping Survey (SIGMS) in FATA. GIS based Database Development and Uploading on website (Funded by FATA-Secretariat). Improvement of soil fertility and health of arid region of D.I.Khan (Funded by USDA and facilitated by ICARDA). Rhizoremediation of oily waste contaminated sites�. Under this project two PhD students at NCEG and Quaid-i-Azam University Islamabad are enrolled (Funded by HEC). Petroleum play analysis and rock physics modelling of reservoirs of Joya Mair Oilfield, Eastern Potwar, Pakistan. Foliation intersection axes preserved in garnet porphyroblasts from the Swat and Hazara regions, NW Himalaya: a record of successive crustal shortening directions between the Indian plate and Kohistan-Ladakh Island Arc. 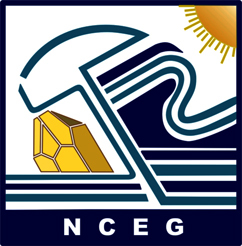 HEC Indigenous & NCE in Geology Research Funding. (2008)- Continued. A refined P-T-t-d path for the Swat and Hazara region of NW Himalaya: tectonic significance of combining P-T pseudosections and geothermobarometry with foliation intersection axes (FIA) preserved within porphyroblasts. HEC Indigenous & NCE in Geology Research Funding. (2008)- Continued. Debris Flow Hazards, Tributary Junction Alluvial Fans, Chitral, N. Pakistan. Funded by FOCUS Humanitarian & NCE in Geology. (2008) Continued. Revised Edition of Geology and Tectonics of Pakistan (A. H. Kazrni and M. Qasim Jan). Funded by Pakistan Academy of Sciences (Rs. I millions), (2009) Continued. Formulation of Attenuation Equations for part of northern Pakistan. Funded by HEC (Rs.5.6 millions), (2009) Continued. Active fault and database, Pakistan. Funded by EMME Project and NCE in Geology. (2010) Continued. Geochemical and mechanical characteristics and genesis of Utla granites (2009-2010). Exploration of precious metals in Swat & Dir regions (2009-2010). Pedo and hydro-geochemistry of the Mardan District, NWFP, Pakistan (2009-2010). Hydro-geochemistry of the high altitude alpine lakes in Gi!git, northern areas of Pakistan (2009-2010). Environmental geochemical studies of the rocks of the lndus suture zone and its vicinity in Jijal, Besham and Alpuri area, northern Pakistan (2009-2010). Environmental geochemistry of Attock and Haripur basin, Pakistan (2009-2010). Neotectonic Studies and Seismic HazardAnalysis of Tirich-Zhenduli Hydropower Projects, Chitral, N. Pakistan (2009-2010). Neotectonic Studies and Seismic Hazard Analysis of Shogo-Sin Hydropower Projects, Chitral, N. Pakistan (2009-2010). To monitor the active Chaman Fault with the help of RTK type GPS and installation of a permanent station at University of Balouchistan. Tectonic and Geodetic with installation of more GPS stations in Kashmir and Northern areas of NWFP. Heavy metals distributions in the soils of NWFP. Pedo, hydro and bio-chemical study of mafic and ultramatc rocks of Bucha and surrounding areas, Mohmand Agency, in the perspective of environmental degradation and geochemical exploration. Environmental studies of soils, waters and plants associated with the mafic and ultramafic rocks in Kabbal-Mingora area, Swat, northern Pakistan. Petrography, mineralogy and geochemistry of the alkaline rocks from Michini (Warsak), NW Pakistan. Environmental impact of left bank out fall drain (LBOD) on soil and water in Badin District of lower Sindh, Pakistan. Lithofacies, petrography and geochemistry of the Neogene Molasse sequence of Himalayan Foreland Basin, Sothem Kohat, Pakistan. Monitoring of surface water, groundwater, air and seil of Peshawar basin against time, the 3rd dimension. Mineralogy and geochemistry of the gemstones and the gemstone-bearing pegmatites in Shigar valley of Skardu Northern areas of Pakistan. Environmental Study of Coal deposits of Sindh, with special reference to heavy and trace metal study in Thar, Sonda and Meting- Jhimpir Coal. Thrust sequence of thin skinned tectonics in the foreland of Himalaya, north Pakistan. Study of the Paleocene/Eocene Foraminifera of the lndus Basin, Pakistan. Evaluation of Chichali formation as a source rock for hydrocarbon generation in southern Hazara. The Paleocene-Eocene thermal maximum (PETM) in the blastic sequences of the Kohat Basin, Northern Pakistan: a low latitude view of the fastest global warming in recent Earth History. Investigating the Paleo-enviroriments and narrow Paleoclimate zones of the Paleotethyan Permo-Carboniferous icehouse: the boulder beds of the Salt Range, Pakistan. Geological, stratigraphic and structural studies of the Attock-Cherat, Gandgar, Kalachitta and Kohat ranges, and their tectonic relationships. Geological, structural and petrological studies of the Kohistan magmatic arc, especially the Jijal, Chilas, Tora Tigga and Sapat mafic-ultramafic complexes, southern amphibolites, Kohistan batholith, volcanics (Chalt, Dir-Utror, Thak, Deosai) and associated sediments. Petrological studies of the Late Paleozoic - Early Mesozoic rocks of the Peshawar plain alkaline igneous province (Ambela granitic complex; Tarbela alkaline complex, Malakand, Warsak and Shewa-Shahbaz Garhi granitic rocks; Shilman carbonatite). Geological investigations of the Indus suture melanges and ophiolite complexes (Mangora-Shangla area, Allai Kohistan, Kahi, Waziristan). Tectonic settings of NW Himalaya of Pakistan. Geochemistry of the Khewra trap, Salt Range. Sedimentological studies of the Cambrian, Upper Permian and Lower Triassic of the Salt Range. Preparation of the first geological map of northern Pakistan, scale 1:250,000. Lithofacies and Paleo-environments of the Tanawal Formation. Crustal evolution of the southern Kohistan island arc. Crustal evolution of the Kohistan island arc. Study of structure, lithostratigraphy and volcanism in arc-related basins. Geological bibliography of the Himalayan-Karakoram-Hindukush region of Pakistan. Updating and compilation of stratigraphy of Pakistan. Preliminary geochemical investigation for base and precious metals in Dir Swat Kohistan, northern Pakistan. Petrology of the Nangaparbat gneisses. Tectonic control of geological hazards, Nanga Parbat region N. Pakistan: Analysis and remidies. Economic and petrogenetic evaluation of basic dyke rocks in Peshawar and Hazara region, northernPakistan. Geochemistry of principal silicate phases of the Chilas Mafic-Ultramafic Complex, Kohistan, N. Pakistan. Characteristics and valuation of some important Gemstones (Emerald, Ruby, Sapphire, Topaz, Peridot and Aquamarine) of Pakistan. Sustainable management of mineral resources with special reference to asbestos and silica in northern Pakistan. Environmental Management of the Hydrological Hydrochemical system of Panjkora River (a major tributary of the Swat River) District Dir, NWFP, Pakistan. Himalayan Foreland Thrust-Fold Belts of Hazara and Kalachitta Hill Ranges: Structural analyses using cross section balancing techniques. Structure of the Bannu-Miranshah-Boya transect, NW Pakistan. Salt & Shale Tectoncis: Implications for the structural evolution of the Kohat Plateau, N. Pakistan. Mineralogy of the heavy mineral concentrates of placers and extraction of placer gold in the Bagrot valley, Gilgit Agency, northern Pakistan. Mineralogy, geochemistry and genesis of manganese deposits of Bela ophiolite complex, Lesbela, Baluchistan. Structural framework of the Salt RangeThrust and Kalabagh fault near Zaluch and adjoining areas of Mianwali district Punjab northern Pakistan. Lead Isotopic Studies of Sulphide Mineralization in Metallogenic Zones of N. Pakistan. Hydrocarbon Potential Estimation and Source Rock Analysis of Jurassic of Salt Range. Sustainable management of mineral resources with special reference to asbestose and silica in northern Pakistan. Characteristics and valuation of some important gemstone (Emerald, Ruby, Sapphire, Topaz, Peridote and aquamrine) of Pakistan. Hydrogeological studies of panjkora River system and its tributaries distt. Dir, NWFP, Pakistan. Mineraloy, geochemistry and genesis of manganese depsoits of Khuzdar ophiolite complex, Baluchistan. Mineralogy of the Heavy Minerals concentrates of placers and Extraction of placer gold in the Bagrot Valley, Gilgit Agency, Northern Pakistan. Environmental Hazards of Industrial Effluents on the Water Quality of Peshawar City and suburbs, part of Peshawar Basin NWFP, Pakistan. Geochemistry of Principal silicate phases of the Chilas Mafic-Ultramafic Complex, Kohistan, N.Pakistan. Jurassic System of Salt Range; A Hydrocarbon Perspective view. Lead Isotopic studies of Sulphide Mineralization in Metallogenic zones N. Pakistan. Structural framework of the Salt Range thrust and Kalabagh fault near Zaluch and adjoining areas of Mianwali District Punjab Northern Pakistan. Geochronological, Themo-Tectonic Petrogenetic studies of Alkaline complex from the Peshawar plain Alkaline igneous province (PAIP), NW Pakistan with the help of Fission-track and Petrographic Techniques. Stratigraphy and Deformational pattern of northeastern part of Kohat Plateau, North Pakistan. Environmental Impacts of industrial effluent and its reclamation through constructed wetland in Gadoon Amazai industrial estate Swabi, NWFP, Pakistan. Regional geology of the western margin of Peshawar Basin with special emphasis on the stratigraphic relations in Khyber Pass Area Agency, NWFP. Structural analysis of the area between Surghar and the western salt Range, NW of Kalabagh, Mianwali, District Punjab, Pakistan. Structural and Stratigraphic analysis of the Zaluch Nala, Western Salt Range, Punjab Pakistan. Geochemical exploration in Swat and Dir areas of Kohistan arc. Environmental studies and geochemical investigation of air, water and soil within Peshawar basin and other regions of NWFP. Petrological and mineralogical investigations of the igneous and metamorphic complexes of northern Pakistan. Geological studies of ancient sedimentary basins of northern Pakistan. Petrology of the Nagar Parkar area in south-eastern Pakistan. Environmental and petrogenetic evaluation of the basic dyke rocks in Peshawar plain and surrounding areas.